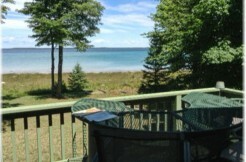 this is a bargain with 150′ of Lake Michigan frontage and a wonderful location. 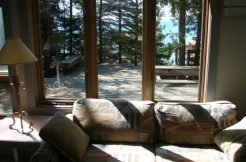 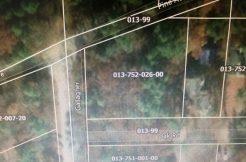 Contact Beaver Island Realty today before someone else gets this opportunity. 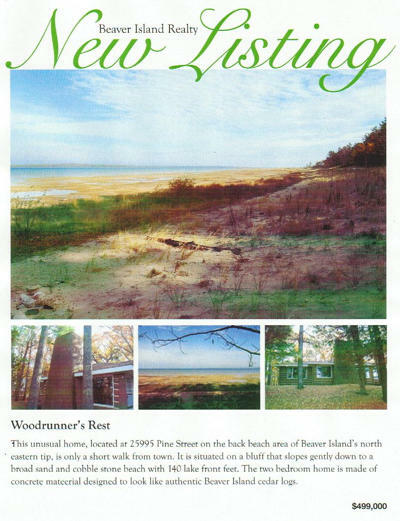 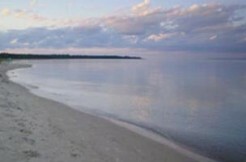 This beautiful home, located at 25995 Pine Street on the back beach area of Beaver Island’s north eastern tip, is only a short walk from town. 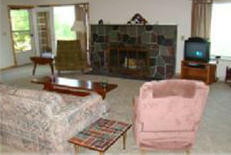 It is situated on a bluff that slopes gently down to a broad sand and cobble stone beach with 140 lakefront feet. 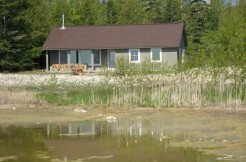 The two bedroom home is made of concrete material designed to look like authentic Beaver Island cedar logs. 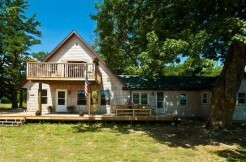 $399,000 Price Reduced!